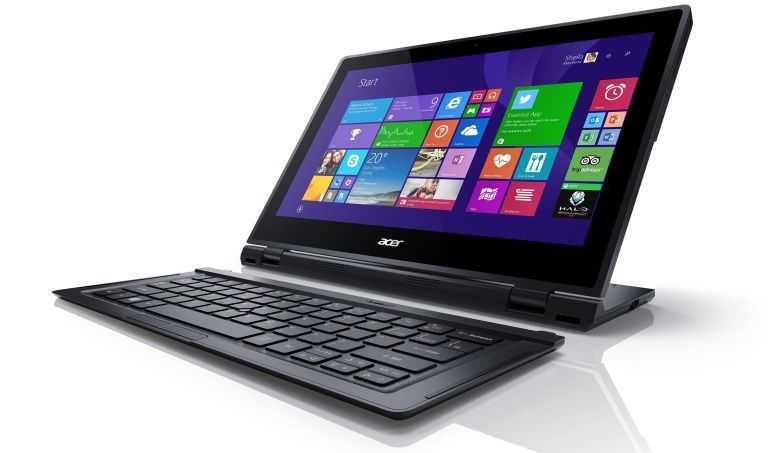 The Acer Aspire Switch 12 – a Core M-based 2-in-1 laptop – is coming, and it starts at just $649. 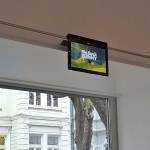 Promotional and hands-on videos are starting to appear in YouTube. There’s one device I didn’t manage to get a good hands-on with at IDF and IFA last year and that’s the Acer Aspire Switch 12. I wish I had because I’m intrigued having read one of the first reviews, watched a number of videos and having just drafted a piece on hot-desking with the Surface Pro 3. The Switch 12 weighs 1.4KG in total which is above our 1.3KG limit here but as the keyboard is removable there’s an operating weight of well under 1300 grams. Still, you’re unlikely to be carrying this without the keyboard so it sits on the borderline. If you want to check out full specifications, take a look at the information page where we’ve also linked in a number of videos. You’ll find an entry-level version (60GB SSD + Core M 5Y10a) and a 128GB SSD version which has the Core M 5Y10a. It’s difficult to find differences between the two processors but it could be down to some TDP tuning features that aren’t relevant to the end customer. At the end of the day most Core M performance is constrained by thermals so if Acer have done a good job on the design it will run faster for longer. Remembering that scores can vary wildly based on latent and environmental heat levels it’s difficult to draw straight conclusions but at 1.51 points there’s not much advantage over a Baytrail-T fanless unit. 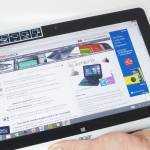 The Lenovo Miix 2 10 we reviewed scored 1.21 points. The slightly low CPU performance scores leads to the next choke-point. SSD performance is unknown but at the SSD is a SATA-connected model the user experience should be better than the Cinebench score might show. We’ll keep an eye out for details on that for you but in the meantime check out the videos and the extra notes on our information page which is being updated with information, links and images. 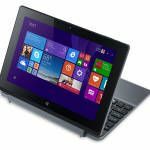 For a list of Core M-based mobile laptops and 2-in-1s, see this list. 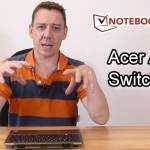 Acer Switch 11 V hands-on reveals July availability. Acer Aspire Switch 11 to get ‘V’ refresh later in 2015. Core M Confirmed. 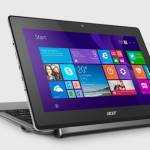 Who wants the Acer Aspire Switch 12?